If you haven’t been following general gaming news lately, Nintendo recently shocked 3DS early adopters with a significant price cut to the system in the wake of troubling hardware sales figures in their recent earnings report. Globally, both Wii and DS sales are down 50%, which wouldn’t be that big of a deal if the 3DS was flying off shelves. 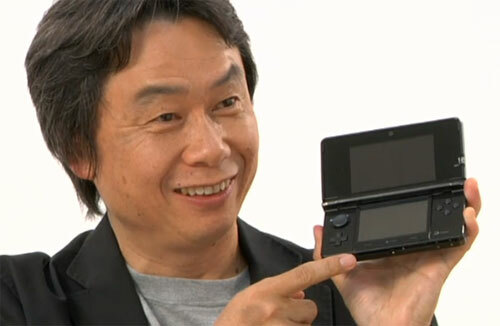 However, in the previous quarter, Nintendo has only managed to move 710,000 3DS units, worldwide. Total, they’ve sold less than 1 million units in the USA, which traditionally has always been a massive market for the gaming juggernaut. Taking full responsibility for the 3DS, Nintendo president Satoru Iwata has taken a 50% pay cut with other executives taking similar 20-30% pay cuts. But surely you’re asking yourself, “Why is this relevant on TouchArcade," as you mentally prepare your scathing comment to this story. Well, as we discuss in this week’s podcast (which will be posted shortly) we’re reaching a point where comparing the portable iOS family to dedicated gaming devices is totally appropriate. The era of the App Store where games were described as “good" with the requisite suffix of “for a cell phone game" is over. This last year has been filled with incredible game release after incredible game release. Unity and similar engines are advancing at incredible rates, and through the Unreal Engine we’re even starting to see games simultaneously releasing on the PC as well as iOS devices. So let’s look at what’s going on with the big N. The 3DS launched with what initially seemed like a strong game lineup that was oddly devoid of first party titles, which historically have amounted to the “system sellers" of the Nintendo hardware family. In fact, the closest thing to a “system seller" to many core gamers was the port of Ocarina of Time, a 1998 Nintendo 64 game, which came months after the launch and wasn’t even developed in house. Since then, the 3DS has been plagued with delays and cancellations from third party developers, instilling even further doubt in the platform. Further yet, Nintendo has taken an incredibly puzzling stance towards indie developers, with Nintendo of America President Reggie Fils-Aime flat out saying that they have no intention of doing business with “garage developers." Comparatively, Apple has fully embraced the so called “garage developer," and for $99 a year has facilitated titles like Tiny Wings [99¢] and Doodle Jump [99¢] that have gone on to make millions upon millions of dollars while still providing a place for high-end show pieces like Infinity Blade [$4.99] to thrive. The era of “traditional" portable gaming as dictated by Nintendo’s vision seems like it could be coming to a close if they don’t begin to adapt to what the instant accessibility of both development and distribution of current mobile games has provided gamers. While the 3DS’s new $170 price tag is undoubtedly cheaper than even a refurbished iPod touch, the $40 price point of 3DS games flat out feels archaic in comparison. Wired’s Chris Kohler raises a point that I could not agree with more: Once you’ve gotten a taste of the App Store, $40 is not a price point where you’ll ever say to yourself, “Eh, what the hell, I’ll try it." Furthermore, as a kid, that price point means getting games only on special occasion. 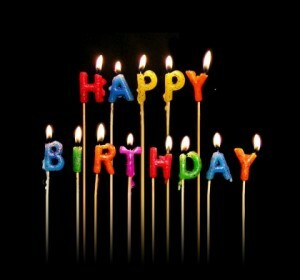 Birthdays, Christmases, or even as Kohler suggests, “maybe after getting a root canal if you cry enough." Comparatively, a pair of $20 iTunes gift cards could potentially buy 40 different games. Not only that, but non-stop freebie promotions has turned the iPod Touch into a portable gaming system with so much content that’s available for free that it’s an impossible task to download and play it all. Nintendo is even dissuading customers further from buying these full-priced 3DS titles by bolstering their eShop with a full array of NES and Gameboy Advance games which likely will all sell for less than $10. Furthermore, they even seem to be distancing themselves from 3D with Nintendo’s chief game maker Shigeru Miyamoto quoted as saying that playing with 3D disabled is “a perfectly acceptable way to play the games." With previously successful hardware platform sales down 50%, their new flagship portable struggling to gain any significant marketshare and Nintendo executives taking pay cuts, it’s safe to say that Nintendo is in dire straits. As Kotaku’s Stephen Totilo puts it, “the 3DS era may not be over, but the era of untouchable Nintendo handhelds is now a thing of the past." Despite all this, Nintendo’s Iwata has reiterated that Nintendo has no plans to sell its games to other non-Nintendo platforms. Sega said the same thing. I’m not sure anyone (including Nintendo) truly can predict the fate of the 3DS and Nintendo’s future portable hardware, but it seems like this is the time for Nintendo to react to the App Store instead of dismissing it at every opportunity. As the lines between smartphones and “dedicated" gaming handhelds blur to near non-existence, Nintendo is going to need to take drastic measures. 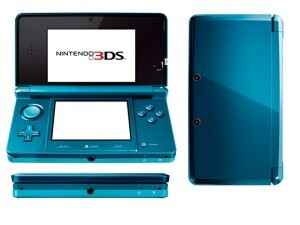 The 3DS price drop seems to be the first, and as a life-long Nintendo fan I can’t wait to see what they do next.